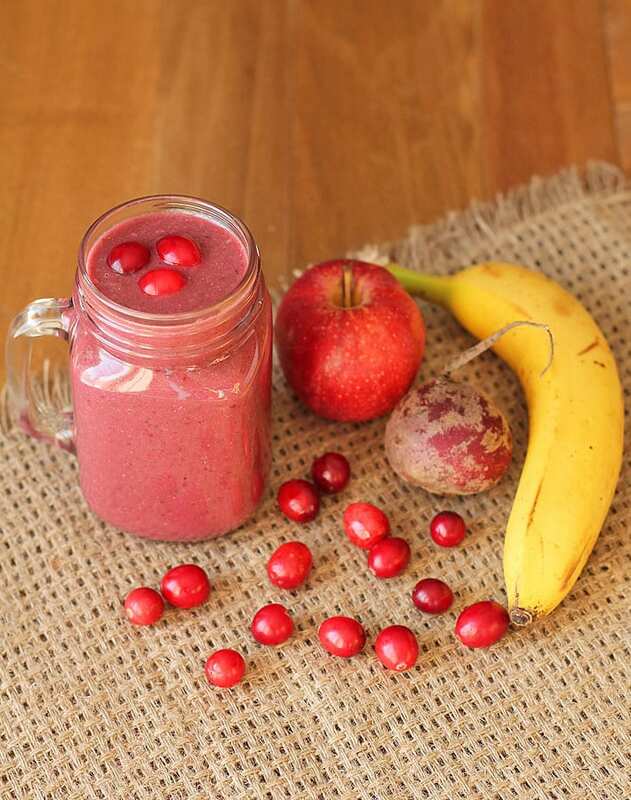 Tart cranberries mixed with a sweet banana and apple (and a few other ingredients!) 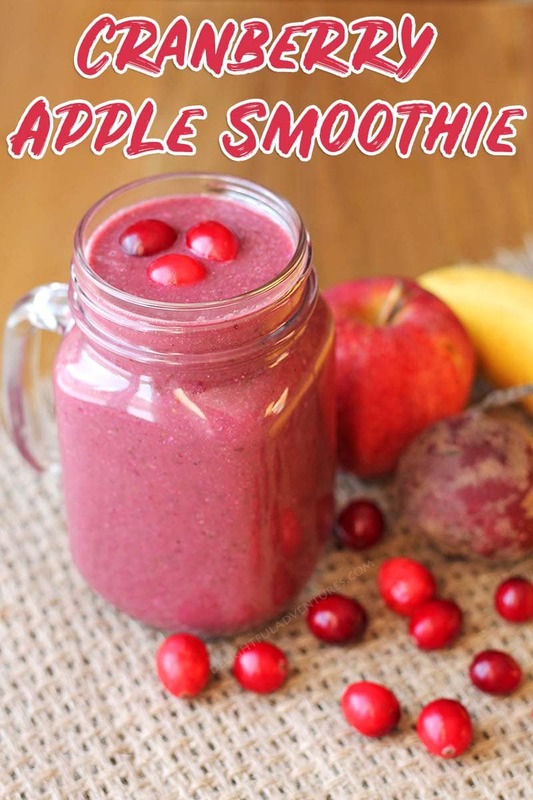 makes this cranberry apple smoothie a delicious way to start your day. It’s also an easy way to get multiple servings of fruits and veggies. If you like your smoothies packed with good-for-you ingredients, naturally sweet (but with a bit of tartness to make you pucker a bit! 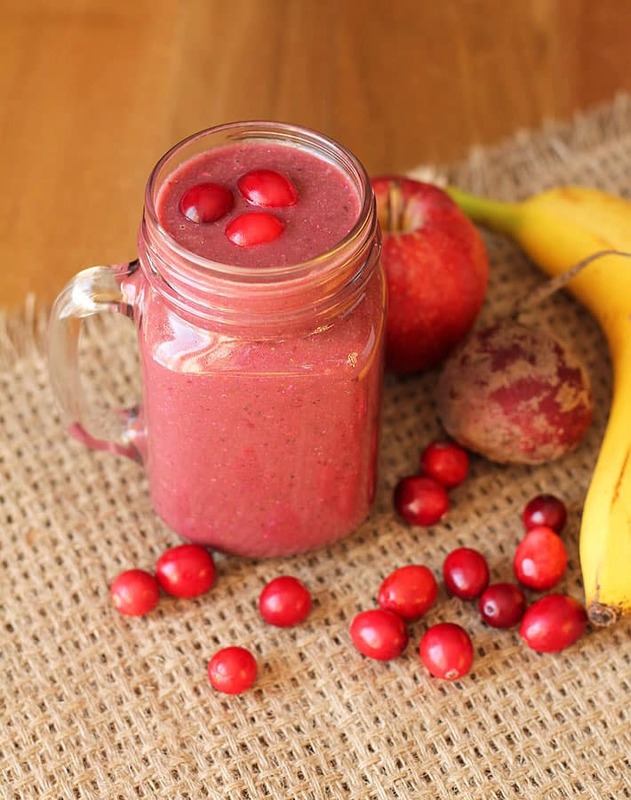 ), then this cranberry apple smoothie is just for you. A good tip to follow is when you have produce in the fridge that’s on its way out, don’t let it (and your $$$) go to waste! Make a smoothie with some, or all of it. The combinations are endless! This is exactly how this smoothie came to be. My berry beet ginger smoothie (my other beet smoothie recipe!) is my usual go-to but I had some leftover fresh cranberries in the fridge that were about to start going downhill fast if they weren’t used up quickly. So why not make a smoothie out of them?! What is the Best Blender for Making Smoothies? But you can use a regular blender or you can also use a high-speed blender, like a Vitamix, to make your smoothie 100% smooth. When deciding what would go into my cranberry apple smoothie, an apple first came to mind because apples and cranberries go well together…so that was a given. I then added a ripe banana for some natural sweetness, and the baby spinach is a good way to get some greens (for those of you who hate spinach, don’t worry about this being a cranberry “spinach” smoothie, it’s undetectable!). The beet was added because I love them in smoothies, they’re good for you, and for the colour they add (isn’t it pretty?!). And then the chia and hemp seeds to get some omegas, a little fibre, and protein…and all those other good things chia and hemp seeds provide. 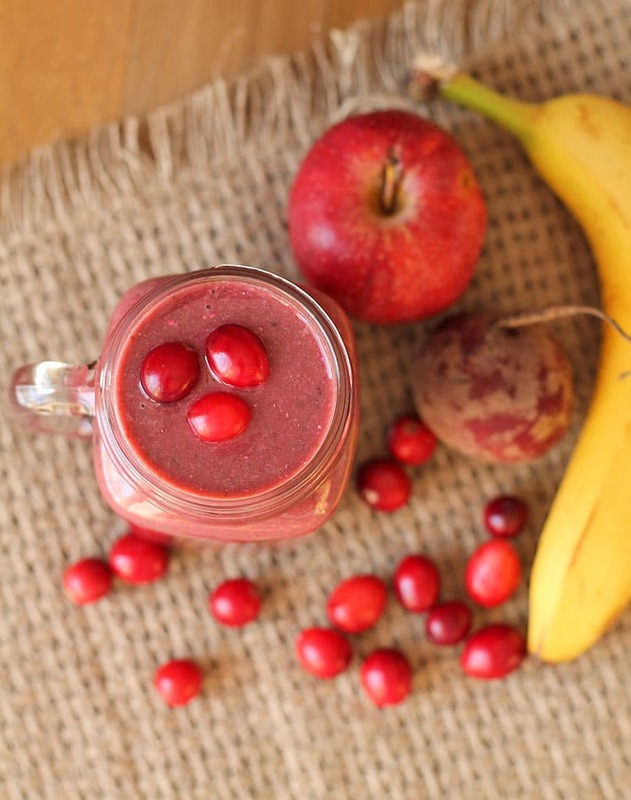 This smoothie is a tart one because of the fresh cranberries (you can use frozen, too! ), but you’ll notice there’s no added sweetener included (in this or any of my other smoothies), I don’t think sweetener is ever needed in a smoothie. Some smoothie recipes you come across will call for honey or some other sweetener but I prefer to get the sweetness from the fruits. If your banana is fully ripened and your apple is sweet, no need to add any extra sweetness. Enjoy! Click here to pin this recipe on Pinterest, and if you make it, let me know! Leave a comment and rating below or share a pic with me on Instagram. 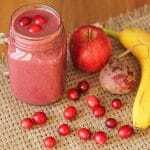 Tart cranberries mixed with a sweet banana and apple make this Cranberry Apple Beet Smoothie a delicious way to get a good serving of fruits and veggies! Recipe makes two 500ml servings. Calorie count is for 1 serving of the recipe made as written. Data is only to be used as a rough guide. Click here to learn how nutritional info is calculated on this website. This is exactly how I like my smoothies! Looks so delicious and such a pretty colour! Oh, cranberries! I thought those were pomegranate seeds when I first saw your instagram photo. Yummy, I bet this is delicious. Must-try!